Breaking The Code Of The Tech World, One Blog At A Time! Starting With The Surface 3, Microsoft Has Added An Improved Graphics Driver For Those Of You Running Windows 10, Or Plan To Run Windows 10 On July 29th. Surface UEFI Update (v1.50410.78.0) Adds Features To Display And Add A System Asset Tag And Support For The Surface Cover During PXE Boot. HD Graphics Family Driver Update (v10.18.15.4248) Improves Graphics Performance And Stability On Windows 10. Surface UEFI Update (v1.50410.218.0) Improves Mobile Broadband Network Connectivity. USB 3.0 Host Controller Adaptation Driver Update (v603.9600.2588.2097) Improves Mobile Broadband Network Connectivity. USB Composite Device Driver Update (v2.0.268.0) Improves Mobile Broadband Network Connectivity. Surface_IA7260.inf Update Driver For Delivering Future Updates And Refreshing Production Software Signing. 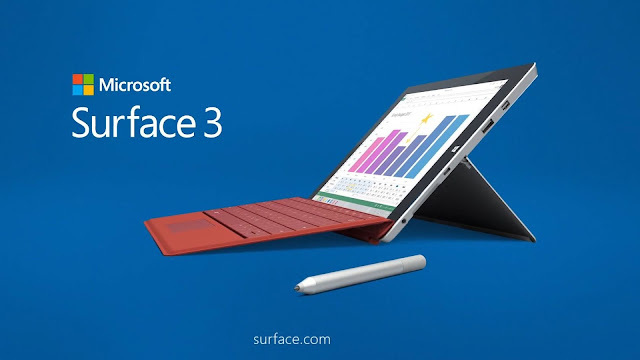 Surface CoSAR Driver Update (v2.0.270.0) Improves Mobile Broadband Network Connectivity. The Surface Pro 3 Was Not Left Out, Thankfully. In The Update, Microsoft Had Added Graphics Driver Support For Windows 10, As Well As Audio Driver Update To Improve Cortana's Experience And An Updated USB Driver. Audio Driver Update (v6.0.1.7543) Improves The Cortana Experience On Windows 10. USB Driver Update (v10.0.10125.31214) Improves System Power Usage. I love it.very interesting and meaning full post.